This view shows the section of the old school building which was used as the Infants’ School until the infants moved to the new Meadow Park School on Kingsway in 1959. The juniors then occupied the rooms and there were adaptations made to them. 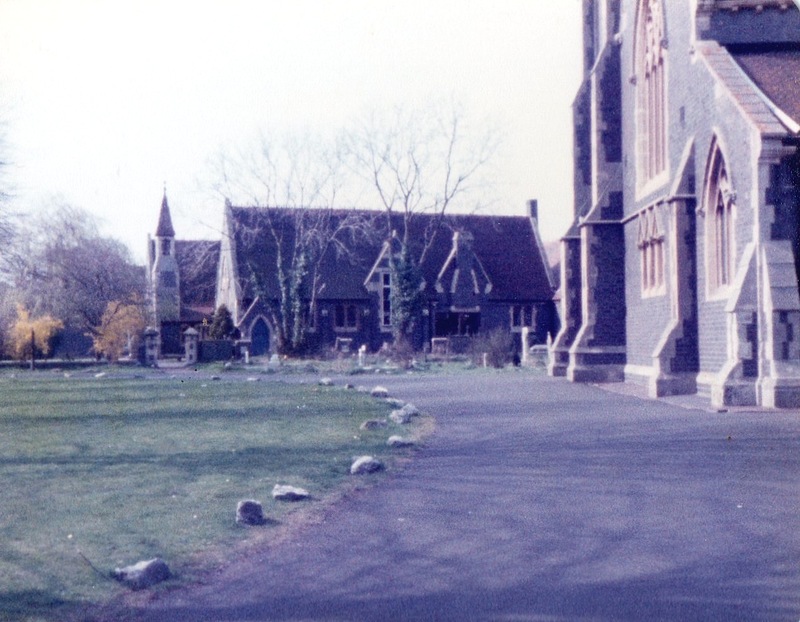 This part of the building was demolished to make way for Belfry Drive which gave access to the houses built on the school playing field, Liddiard Court and the new Church Hall.